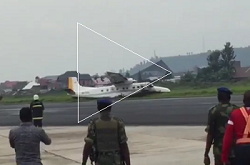 The Do-228 regional aircraft was seriously damaged during an emergency landing at Goma. All on board left remained unharmed. 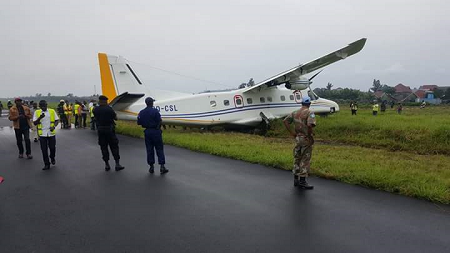 The DO-228 aircraft was approaching its destination Butemba (108 NM to the north of Goma) when the pilots received indication about a problem with the undercarriage. The left maingear failed to extend. 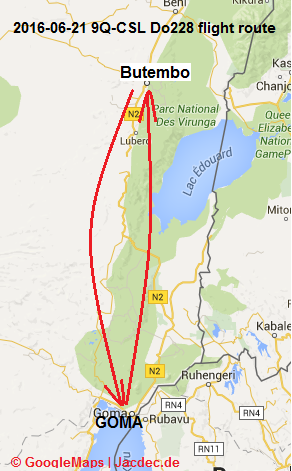 After numerous unsuccessful attempts to lowrer it, the approach was aborted and the flight returned to Goma where better emergency handling facilities were available. 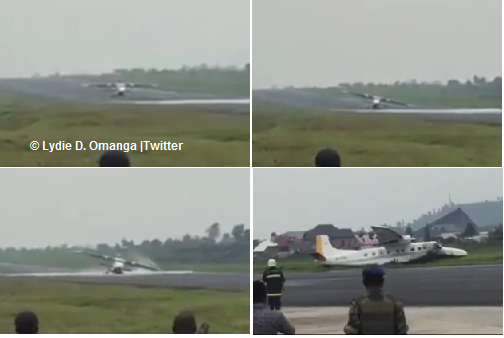 After using up all surplus fuel the pilots performed an emergency landing on the left maingear and nosegear only. 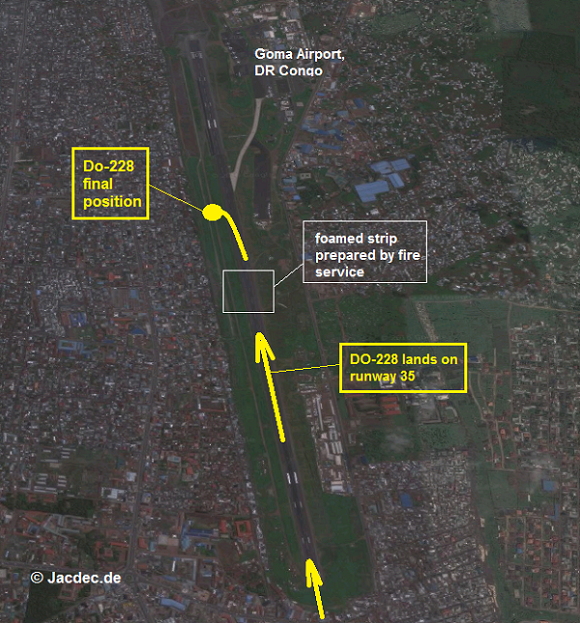 Local fire brigade previously had prepared a short portion of the runway 35 with fire suppressing chemicals . All passengers and crewmembers were able to evacuate safely. There was no fire. 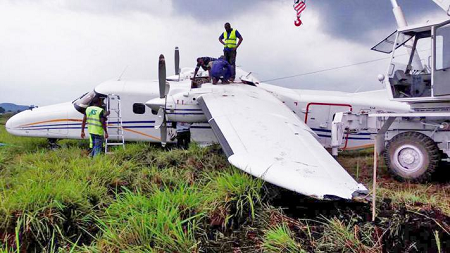 Damage to the aircraft is believed to be substantial.